Oh my gosh we did it! We are officially the owners of a Friesian/Warmblood Sporthorse breeding program and absolutely beaming with excitement for the arrival of what we hope to be (not confirmed yet) our first 2019 sporthorse foal. We welcome our new stallion, Zaire van Bluffview a 16.2 registered KFPS Dutch Friesian and Graf’s Little Secret a 16.2 registered Hanoverian Warmblood out of Graf’s Genius. We are anxious to know if Graf’s Little Secret will be expecting our farms first official sporthorse foal sired by our very own – Zaire in 2019. We want to give our deepest thank you and attention to the owners and management of Green Spring Valley Friesians, who have decided to close down their niche Texas farm and pass the breeding program baton into our care and consideration here in Utah. A special thank you to each of you from the Green Spring Valley family, for your time and trust to allow us to welcome your two best assets to our farm and continue your mission for proven-quality sporthorses. 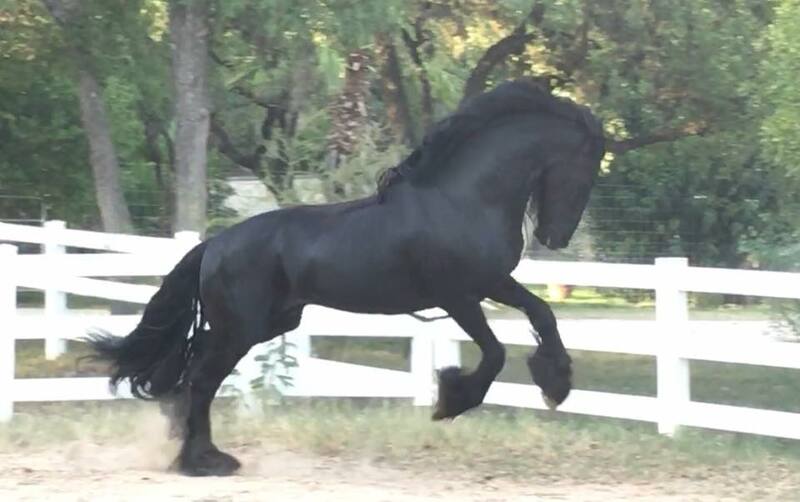 After the purchase of our Friesian Sporthorse Morpheus in 2016 from Green Spring Valley Friesians, we became extremely impressed with their progenies, including the one we purchased. Over the past two years we have stayed in constant contact with the breeding program’s manager, Leah Stephen, about premium sporthorse breeding and quality care for raising young horses. When the opportunity arose to take-on a “package deal” to begin operations in Utah, we all made it happen!